Yes, we can ship to Canada! However due to the higher cost of shipping to our Northern friends, we are unable to offer free shipping to Canadian members at this time. The 6 Month Small Garden Canadian subscription is costs $83.94 (price includes the additional $5/mo for Canadian shipping). Yes, we can ship to Canada! However due to the higher cost of shipping to our Northern friends, we are unable to offer free shipping to Canadian members at this time. 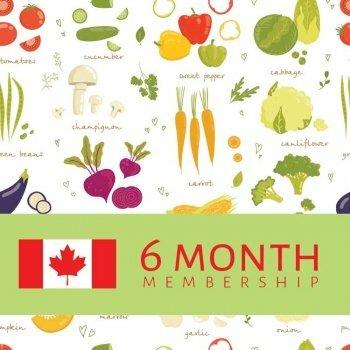 The 6 Month Small Garden Canadian subscription costs $95.94 (price includes the additional $7/mo for Canadian shipping).